Super Bowl 53 is over, the New England Patriots walk away the victors, much to the dismay of most of the league, already sick of their sustained success. While America is slowly getting over the result and looking forward to the 2019 season, the UK is doing the same albeit on a smaller scale. Ever since the NFL agreed to host a few games per season in London, interest in the NFL and American Football has grown dramatically over the years. Jacamo put together an infographic around the Super Bowl and its growth within the UK and the results are interesting. A trend is occurring, and as any business or marketer, it’s important to pay attention to these trends. Because as soon as you notice them, you could miss the boat and end up on the outside looking in. 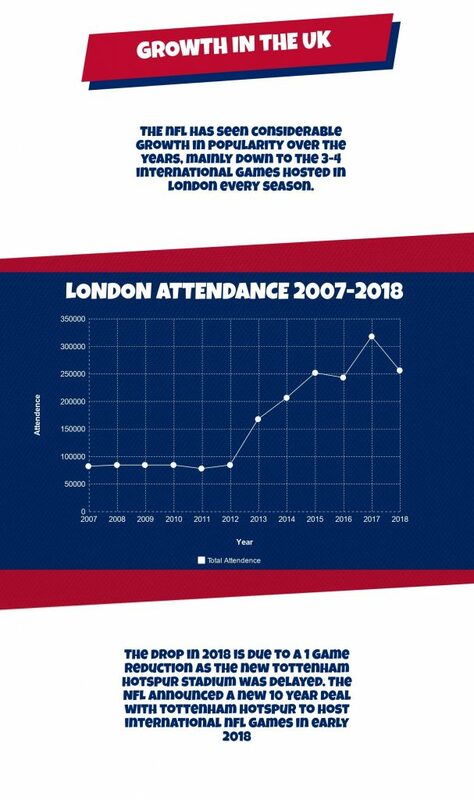 In the image above, it shows that ever since the NFL London Games began, attendance numbers have increased. In 2013, these numbers shot up drastically as the NFL committed to more games per season. The UK fans responded in number to get the chance to witness an NFL game without having to make the trip to the US. Even if they don’t support the teams on show, the vast majority of games are flooded with jerseys from teams all over the league, a strange occurrence for any American fan watching. In 2017, the highest attendance was recorded, coming in at 316,988 spread over 4 games. With games selling out within the hour tickets are released, it’s a great sign that this sport is growing. There’re even rumours of an NFL team being formed in London, although this would be far in the future, if at all, it shows that support for the sport its at such levels where a team could form from it. While the logistics of such an addition is one for the league to sort out, given enough support and money, it seems inevitable. How does this affect you as a business or marketer? 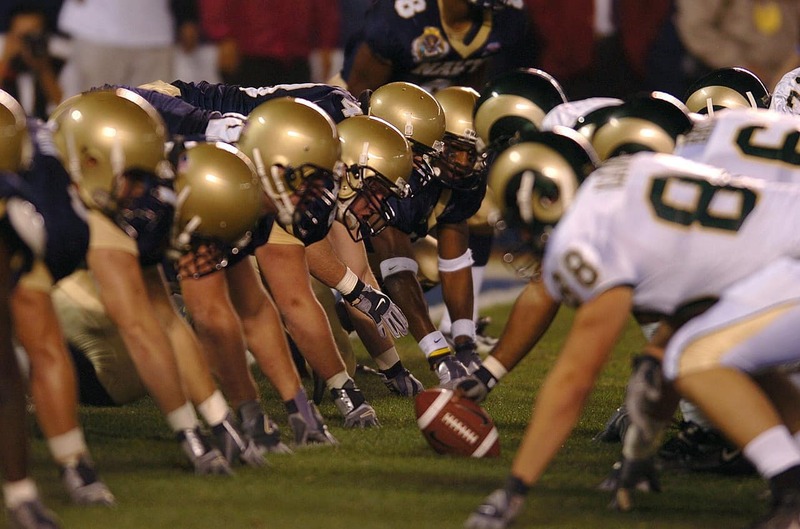 Since American Football has a huge reach, many businesses focus on either the sport or the fans that watch it. Whether you get involved by sponsoring at the games, getting involved in local youth teams or in any number of other ways, you’ll be at the centre of a sport that’s only going to gain more fans as the years go by. Get involved now before it’s too late, look to American Football as a potential avenue for business advertisement. Depending on what your business is, it could be a huge boost!